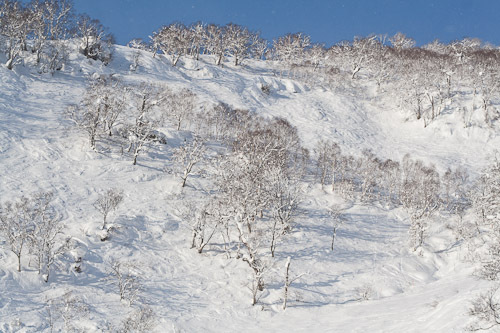 I made it to Niseko. Actually I have been here for a week and this is the first time I have got the camera out. 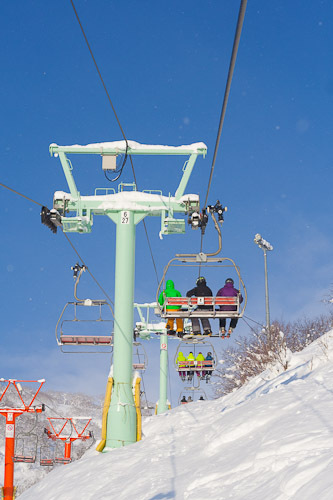 This is the early morning going up the Ace Quad chair at Hirafu in Niseko. The lifts start operating at 8:30am. This is the ridge to skiers right of the Ace quad chair. It has been pretty much tracked out because there had not been any snow overnight except wind-blown stuff. 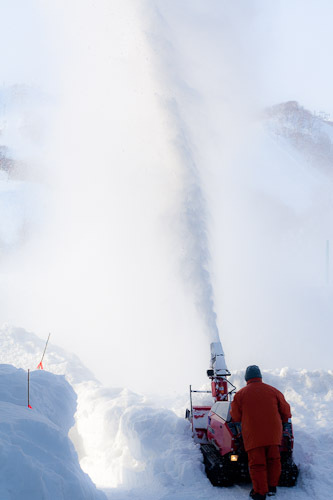 On the way to the Seico-mart konbini store, I saw this guy blowing snow out of the car park of Hokkaido Tracks. I love snow machinery. 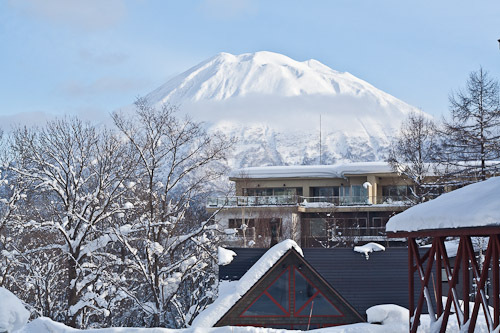 This is Mount Yotei, a dormant strato-volcano to the west of Niseko. It last erupted about three thousand years ago. The sea is just behind it somewhere. 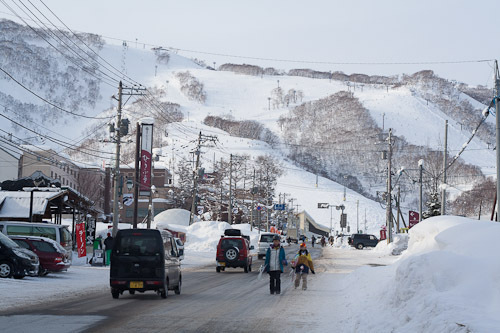 This is looking up the road at Hirafu towards the ski slopes. 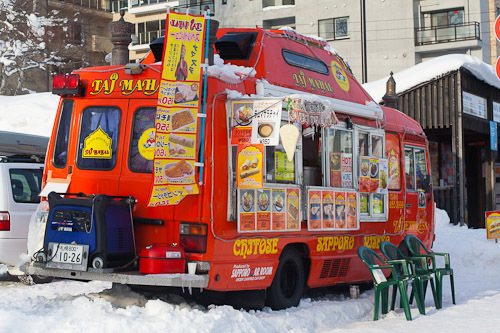 There are heaps of vans selling hot dogs and other types of foods and snacks. I got into Osaka last night, had something to eat, a beer and then crashed out for the night. This morning I got up and had breakfast and then went off for a walk around the city to see what was going on. I went through Shin-sekai. It was almost ten o’clock in the morning and hardly anyone was about. Further down the road I diverted into the Kuromon Markets. 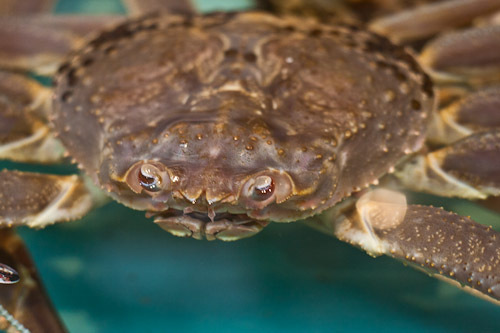 They had lots of sea-food, including a few crabs. 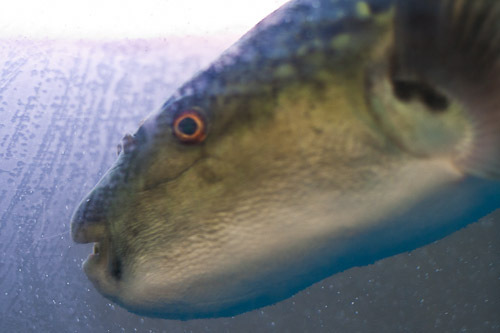 These puffer fish or fugu were in tanks, waiting for be sold or sliced up. 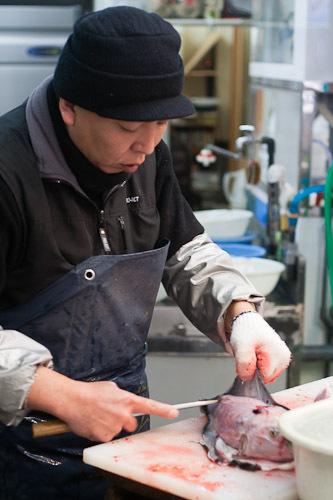 This guy is slicing up the fugu. It can be highly deadly if it is not done properly. If you do not clean out the poisonous bits, it can kill you! 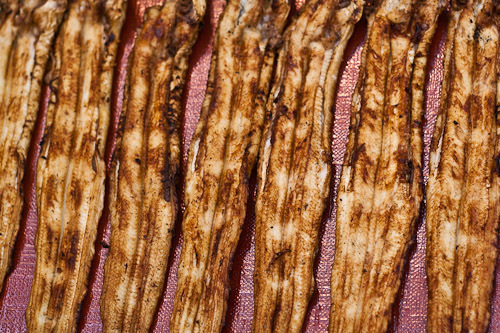 Not sure exactly what this is, probably dried fish. 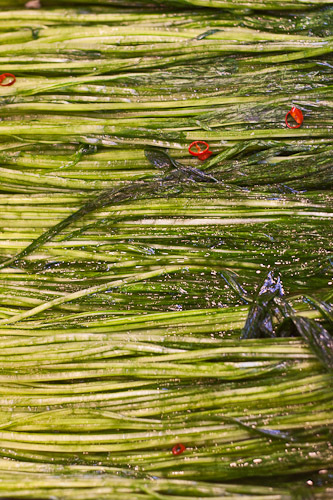 And again, not sure exactly what sort of vegetable it is, but it has most likely been pickled. This photo feels sad and lonely to me. 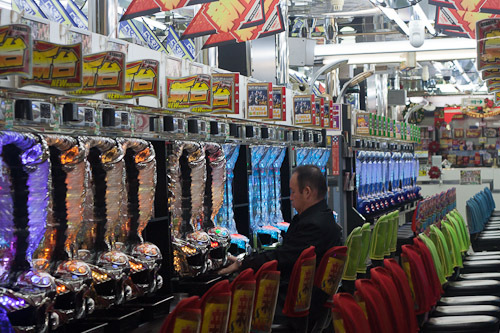 There are so many of these gambling places around Japan. They were lined up ready to go at nine in the morning. 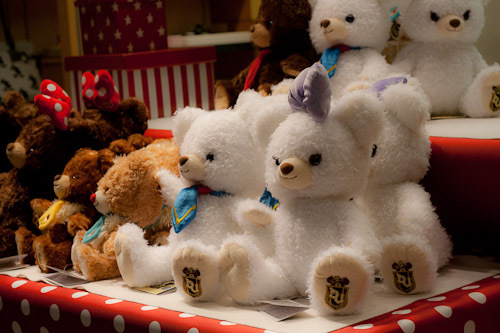 Japanese love cute things. It is almost over powering. Kawaiiii, desu ney?